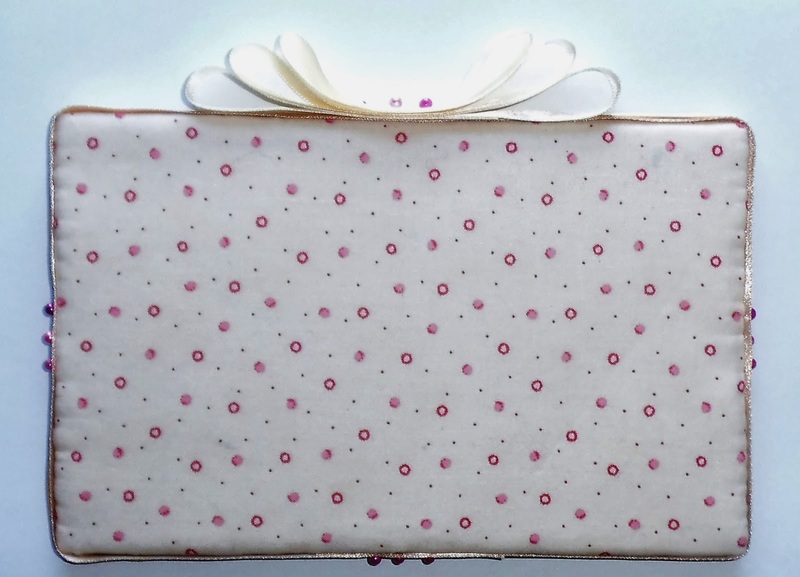 Stitchers Anon: Busy Busy and New Releases. Busy Busy and New Releases. I am going to appear a little rude and be as brief as I can be because we have sunshine! And I need to get out of bed and out into the sun for my vitamin D fix. I'm feeling much better: my back still hurts but it is nothing like it was thankfully! So I need to go and get me some sun! 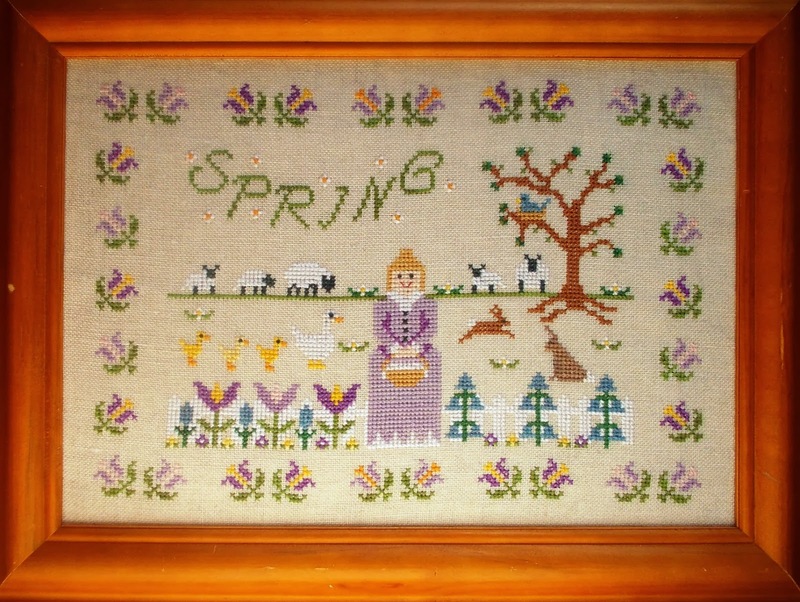 I got spring back and I just wasn't happy with her...so I tweaked her and 364 stitches later, I am much happier. These maid are just so fussy now. She wanted more colour, I wanted a traditional, muted sampler look but between us we managed a compromise! For me spring is about purples and pale pinks and yellows and oranges; crocus and daffodil colours and that is what we finally finished with. I bet the bigger companies don't get up mega early because for once we have some sunshine. I bet they don't lug kitchen chairs upstairs to their bedrooms and to the one window which is facing the sun...I bet they don't work in their pjs, balancing a huge piece of white mount board to try to reflect the light onto the finished piece and then juggling mount board, rolling up dressing gown sleeves and ignoring the pain in their back, stand at a ridiculous angle...just to get a photo of their work...and all before breakfast! They have never lived!!! These will be on the website today! The first in a Maid for All Seasons collection: Spring. I took some pictures out in the car which show the colours better. Stitched on Cashel linen - flax by Elaine Murphy using threads from A Victorian Motto Sampler Shoppe with DMC conversions. Tweaked by me...sorry Elaine: you know what it's like. Living in Ireland we don't really get to see fabrics up close and personal to touch and work out what would go best with the colours I like...so we often have to implement colour changes. I have promised Elaine that if I ever get rich I will take her to the USA as a business trip and visit as many LNS's as we can! Well, it would be work wouldn't it! 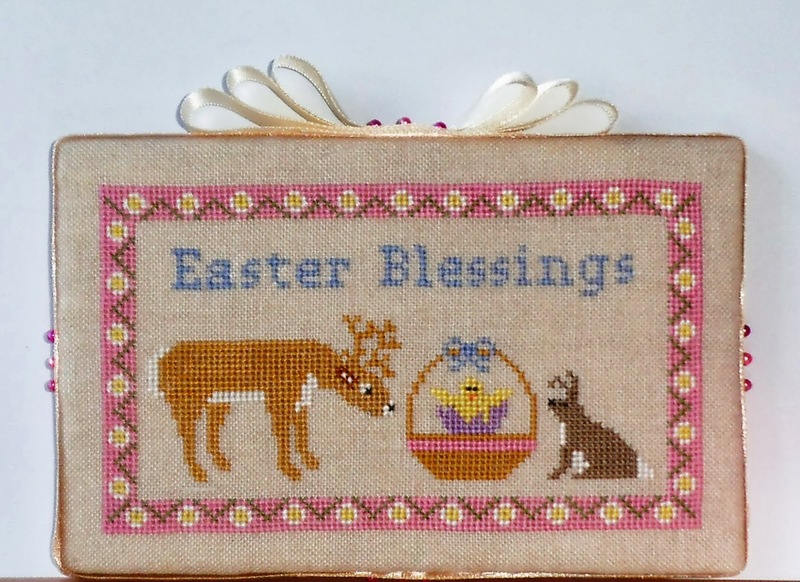 I finished Easter Blessings as a little pin keep...very cute. The photos still aren't great but the daylight here is terrible! I'm really pleased with how it turned out and it feel great just feeling well enough to actually do something, to physically make something! Both these charts are now on my website shop and I love the story that accompanies the Holmsey and Fergus chart. Am I allowed to love my own work I wonder? I think I just get so pleased that I manage to achieve something that it brings a real sense of joy rather than coming from vanity! I am sure there is bound to be a spelling mistake/typo which will bring me bouncing to the ground with a bump! I have had the first submission from the butterfly competition too. This is Dora's entry. She is going to finish it as a cushion. I have to say I put it out there that you all make them you own and Dora has certainly done just that. I don't think I would have even recognised it as my own design! 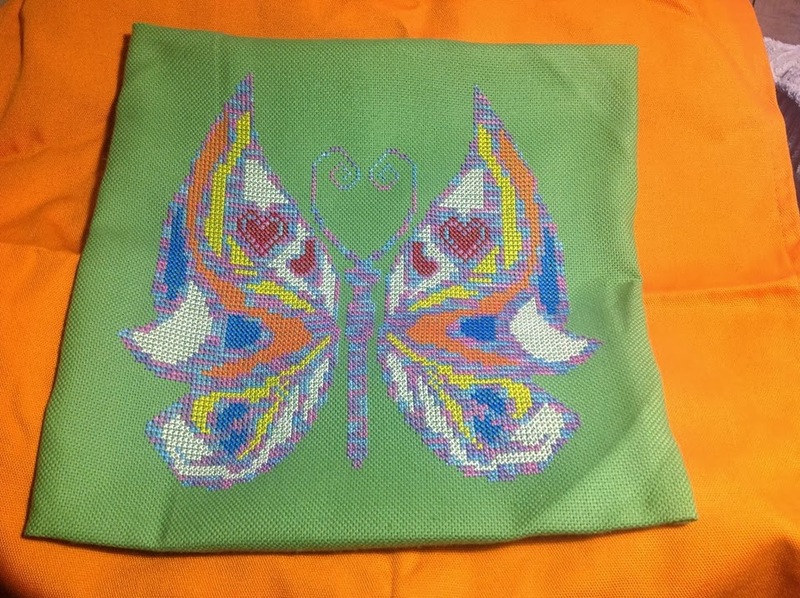 When she has put it into her cushion form I will add it to the page on the website for all the finished butterflies and then I'll put up a poll for the vote for the winner. I have to say I am really, really glad I don't have to chose a winner...I know they are all going to look amazing! What else...oh yes, I have been commissioned to design some charts for a lovely lady who will be using them to run workshops! Isn't that exciting! And, even though I have far too much to do as it is, I actually ordered myself my first Heaven and Earth Design. It is going to be my carrot to treat myself when all the work is done. From next week I will be working on a Quilt using Carolyn's fabrics and hopefully if that goes well, I will be making some wee sets using Maggees Fabrics...oh and summer will be ready to go to Elaine. I loved designing this one. She is a gem! My favourite so far! I agree ~ great news in this post! Love your new charts ~ so cute! And Dora's entry is beautiful! I love the happy sound of this post! I love the little birdie on her nest. Lovely Spring and Easter designs! I'm so delighted to read you are feeling a little brighter, hope the sunshine did you good, please send some here....its still raining! Love Miss Spring, she's a delight. The little pinkeep is so sweet too. You are so busy... and still have that sense of humor! Good for you!